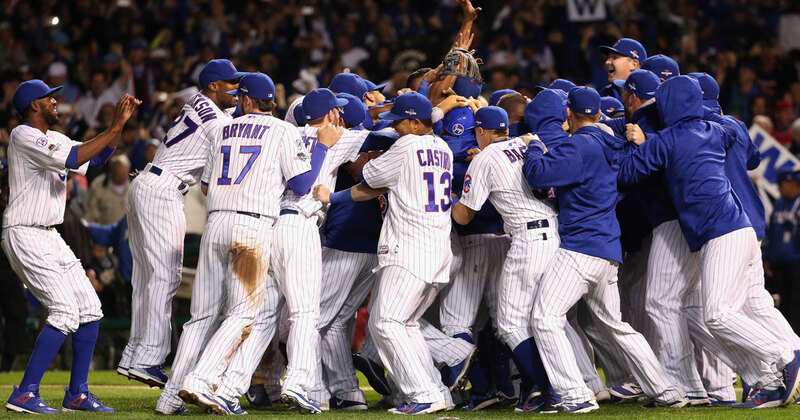 Home › Random Thoughts › What if the Cubs win? Tonight, the Chicago Cubs face the Cleveland Indians in game seven of the world series. I have been a Cubs fan since I was a little kid, correction “long suffering Cubs fan” since I was a little kid. What if the Cubs Win? It is part of my identity. I mean, I’m a Christian, so I get my identity from Christ. I’m married, so my identity is also as a husband. But the Cubs man… the Cubs! As a Cubs fan, we say all kinds of things that feel unique to a century-long World Series drought. I’m a Cubs fan, so I know a thing or two about patience. I have watched the Cubs rise up, and implode, more often than I can remember. I have watched the Chicago Bears, the Chicago Bulls, the Chicago White Sox, and the Chicago Blackhawks all bring home championships in my adult life. I have been proud of all of their accomplishments, and rooted for each one of them every time. I have cheered and celebrated. What if they win? What if they actually do this? What if, at the end of nine innings, I’m celebrating instead of hanging my head in disappointment? What if the Chicago Cubs win the world series 108 years after their last win in 1908, using a ball with 108 stitches? What do I do then? I’ll stand up and cheer right there in my own home in front of the TV. I’ll hug and kiss my wife, I’ll cry. But what do I do tomorrow, and the next day? We’ll all tell stories of the game. We’ll talk about what we were doing, and where we were. But then, somehow, we Cubs fans will all go back to normal. It may be a new kind of normal. The team is young enough that they could repeat next year, but not as underdogs with a history of choking, but a team with an historical championship trophy in that glass case at Wrigley Field. Tonight I’ll be there, watching the Cubs and Indians on my TV. I’ll be affirming the social media posts of my fellow Cubs fans around the world. I’m holding onto every ounce of hope in my being for that win. And even if they don’t, I’ll still be a Cubs fan. 12:45 AM Eastern, on Thursday, November 3, after a tie game heading into the 10th, with a 17 minute rain delay, at long last, Cubs Win! CUBS WIN! CUBS WIN!! This one’s for you Harry. Imagine if Harry Caray was still alive and able to call the final out of the World Series? Budweiser created this video overnight. The company worked with the Caray family estate to get Harry’s actual voice, in audio, and combine it with Game 7 footage of the Cubs big win, and the celebrations back in Chicago. So it’s as if Harry was announcing the World Series win he always dreamed for.